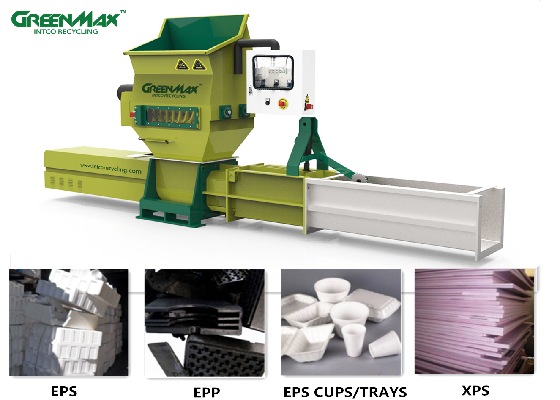 GREENMAX ZEUS C200 is the stronger version of EPS Compactor. Apart from waste EPS foam, ZEUS C200 also can deal with EPE and EPP materials. It crushes the plastic foams and compacts them into blocks, and the surface of blocks are melted. The strongly stuck surface could prevent the compacted material from scatting again. The screw compression technology produces continuous logs at a ratio of 50:1, two strong motors drive the pre-crusher’s cutter shafts. With high density and security, no fumes, low utility consumption, you can operate it without safety concern.